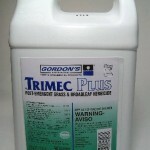 PRODUCT DESCRIPTION: Basically Trimec but with some MSMA so it not only targets broadleaf weeds but grassy weeds as well. 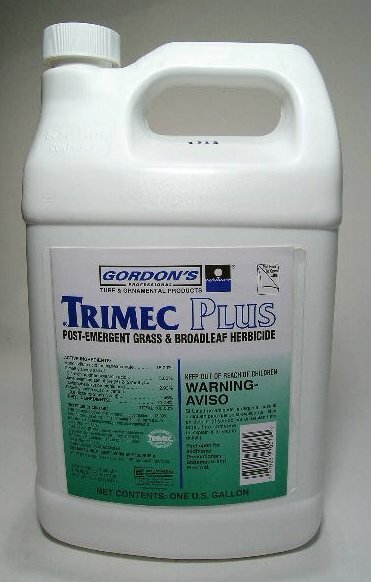 Just be careful of over spray; since Trimec Plus incorporates so many actives it will probably kill most desirable plants in the broadleaf category. Try and keep treatments limited to grass and when used around flowers or ground cover, keep over spray minimized. WHERE TO USE IT: Lawns, mulch islands, fence rows and just about about field where extensive weed control is desired. RATE OF APPLICATION: 3 oz per gallon of water per 1000 sq/ft of turf. That means 1 gallon of concentrate will treat over 2 acres.